I am a freelance writer and diversional therapist, living in Brisbane's North West. I write for Weekend Notes, Must do Brisbane and Starts at Sixty. Visit my blogs at babybloomin.wordpress.com and brisbanetripster.wordpress.com. It's that time of the year again. Bring out your best winter woollies and head for Warwick where the Jumpers and Jazz festival is sure to get your creative juices flowing. 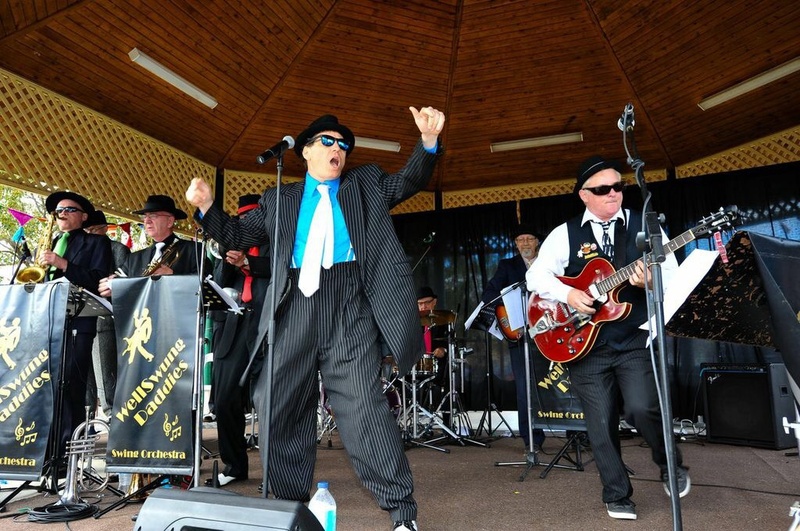 The festival program includes something for everyone, from cool jazz, swing bands, outdoor art, fireworks, vintage cars and motorcycles, to yarn-bombing, art and craft stalls, creative workshops, a good tipple, gastronomical delights and so much more. Check out the website for full program details and you can't help but be impressed at the variety of events and entertainment on offer during this 10 day festival. 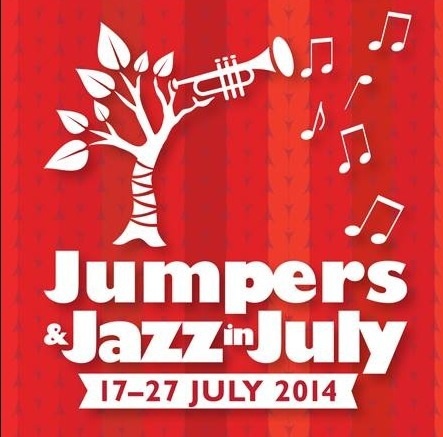 Jumpers and Jazz in July began it's journey in 2004 and has continued to grow in popularity each year. The feature of the festival is the "tree jumper competition", with entries coming from near and far. 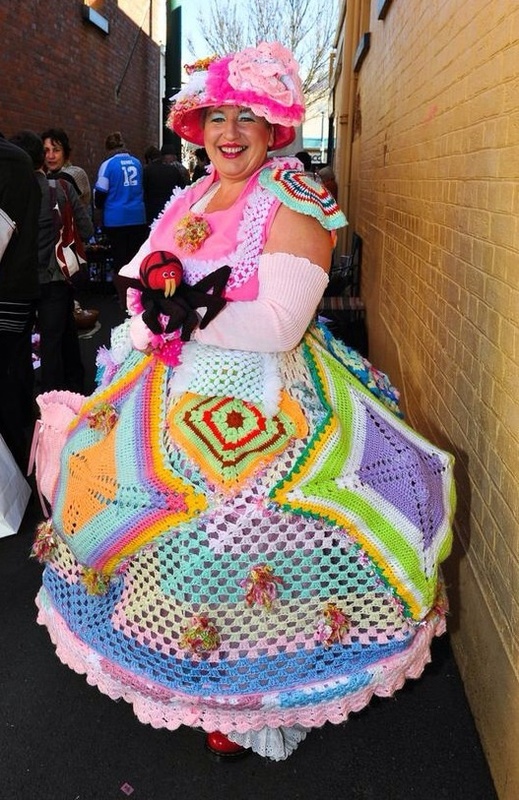 Whilst many entries come from local knitters and crochet experts, each year the Lincolnshire Spinners and Weavers Guild in the UK send their entry by mail. There's also an entry from Fleur and Kevin Lind who are travelling all the way from New Zealand to install their tree jumper, titled "Kiwiana Comes West." The Linds said, "We spent two weeks in Warwick last year for the festival and enjoyed it so much we're returning this year, only this time we want to make an entry as well!" Schools, community groups, businesses, artists and everyday individuals get caught up in this creative activity. In total, 120 trees will be sporting their new jumpers this year. Don't think for one moment that jumpers are reused each year because that just isn't on. Each tree has a brand new jumper each year. What a great effort! The theme for this year's competition is "Zen", so it will be interesting to see how artists interpret this theme. Tracy Vellacott (CEO, Warwick Tourism and Events) said, "There are no more trees in the area to decorate, they've now all been registered for this year's festival." How's that for great community spirit? Trees aren't the only recipients of a yarn-bombing make-over. Kids are invited to get into the competitive spirit and give their bikes the treatment too and then join the parade. Entry for this competition is free and all participants receive a prize. 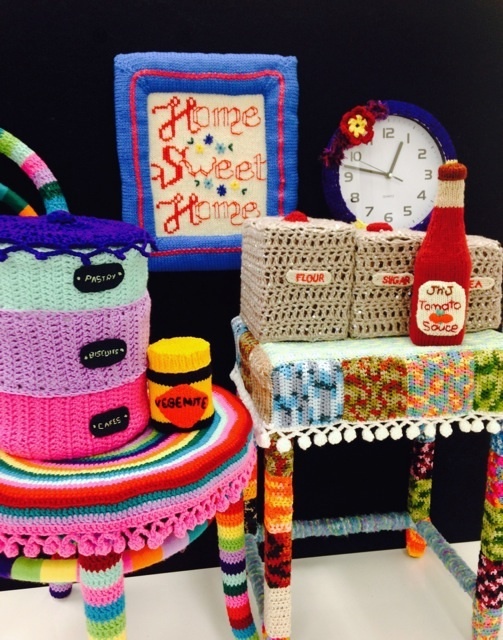 The other project keeping knitters and crochet enthusiasts busy is the Warwick Art Gallery's "Knitchen". What is a knitchen? It is the quirkiest and most amazing yarn-bombed project to ever hit the Jumpers and Jazz festival. The knitchen will have the works, including the kitchen sink, salt and pepper shakers, a knitted roast chook and naturally, a jar of Vegemite and a bottle of tomato sauce. Even the sugar bowl will be yarn-bombed, complete with a marching army of crocheted ants. Black and white floor tiles have also been knitted to cover the foyer space. 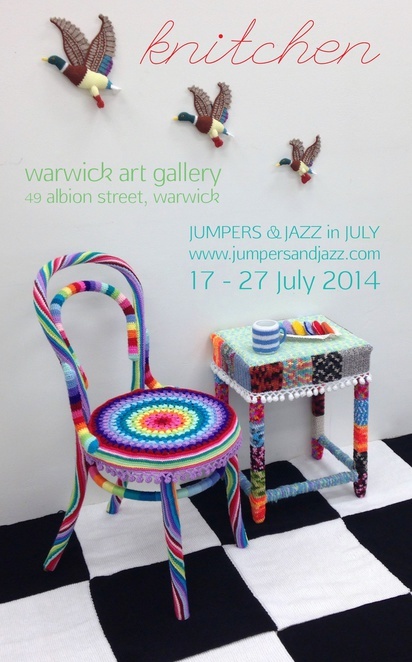 Karina Devine is the Warwick Art Gallery Director and creative wonder behind the concept of the "Knitchen". She said, "I just came up with the idea and from there people said "yes, we can do that" - and they did!" There are way too many great events happening at this festival to describe them all but one thing is for certain - the Warwick Art Gallery and Warwick Tourism and Events sure know how to put on a festival that makes Warwick shine in winter. For further information on the festival, including accommodation enquiries, check out the festival's website. You can also follow the latest news from the festival on Facebook. 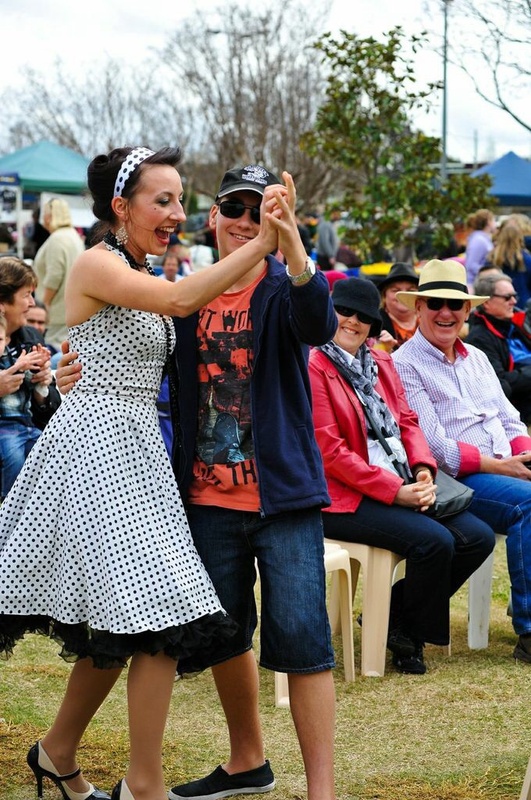 Now you have all the info at your fingertips, so start planning your escape to the country and have a fabulous time at the Jumpers and Jazz in July festival - oh, and don't forget your camera. Who knew knitting could be so much fun.